Airbus SE secured a $35 billion jet deal from China during a state visit by President Xi Jinping to the French capital, dealing a blow to Boeing Co. as it grapples with the grounding of its best-selling jet. The mammoth order consists of 290 A320-series narrow-body planes and 10 A350 wide-bodies, Toulouse-based Airbus said after the transaction was announced in Paris on Monday. 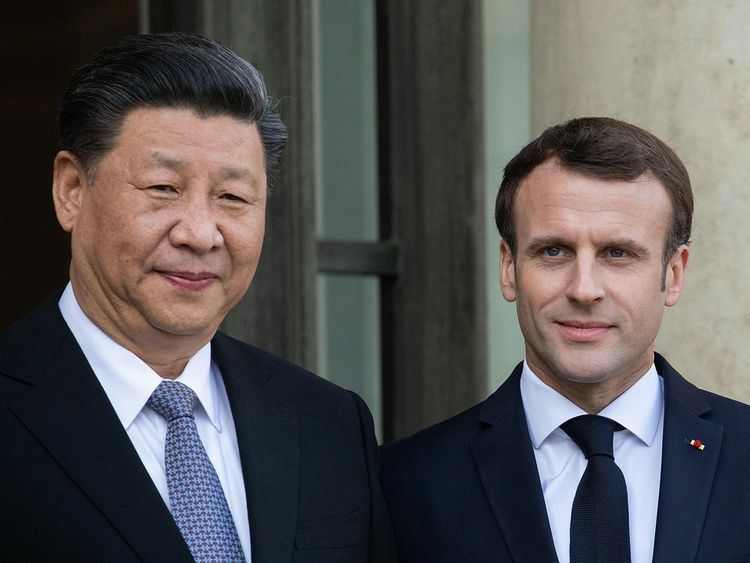 The deal's value is almost double that touted by French President Emmanuel Macron in January 2018 during a trip to Beijing. The Airbus coup comes while Boeing's own 737 Max narrow-body - the chief global rival to the A320 - has been idled following two fatal crashes in five months. The U.S. planemaker is also struggling with the fallout from a China-U.S. trade war that's seen sales to the Asian nation dry up, just as Airbus bolsters its position with an offer to expand production facilities in Tianjin. Airbus shares rose as much as 1.9 per cent Tuesday and traded 1.8 per cent higher at 116.04 euros as of 9:51 a.m. in Paris. The stock has gained 38 per cent this year, compared with a 15 per cent advance at Boeing. China has become the world's most important aviation market as its fast-growing middle class spurs demand for travel. The country has traditionally sought to keep a balance between the two western planemakers as it seeks to jumpstart manufacturing on its own soil, but Chicago-based Boeing's order prospects have been complicated by the trade clash. "I would see this as part of broader trade discussions," said Rob Stallard at Vertical Research Partners. "For the Chinese to put tariffs on Boeing aircraft would be nuclear, but you can send messages in other ways. This tells the Americans that you have got to play nice if you want us to reciprocate." The deal extends a history of Sino-French cooperation in aerospace, Chinese Foreign Ministry spokesman Geng Shuang said in Beijing, adding that China "has provided conditions facilitating the growth of the Airbus company." The deal announced in Paris will include both Neo - for new engine option - and so-called classic or CEO versions of the A319, A320 and A321, though the majority will be A320neos and A321neos, according to officials. China typically orders planes in large batches and allocates them to airlines later. Airbus's incoming chief executive officer, Guillaume Faury, said at the press conference that construction of the A320s will take place both in Tianjin and Europe, adding that the deal is "a sign of the confidence" from China. Macron called the transaction "an excellent signal." Separately, China is looking at excluding Boeing's troubled 737 Max jet from a list of American exports it would buy as part of a trade deal with the U.S., people familiar with the matter have said.